A choker is a must for this season. 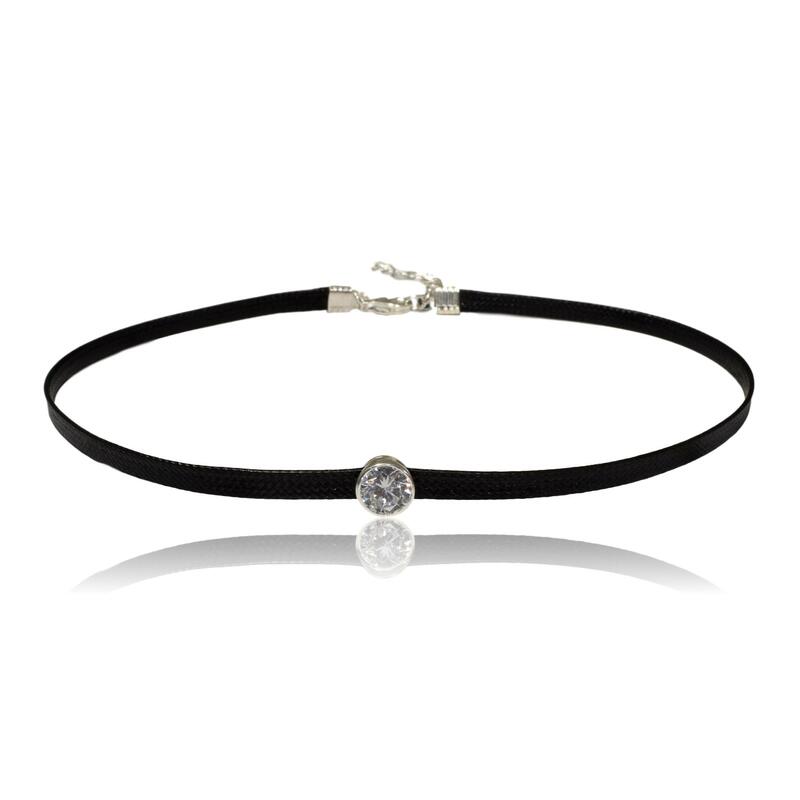 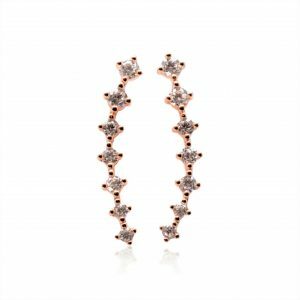 Gorgeous cubic zirconia bezel set choker on woven black band, with extender. 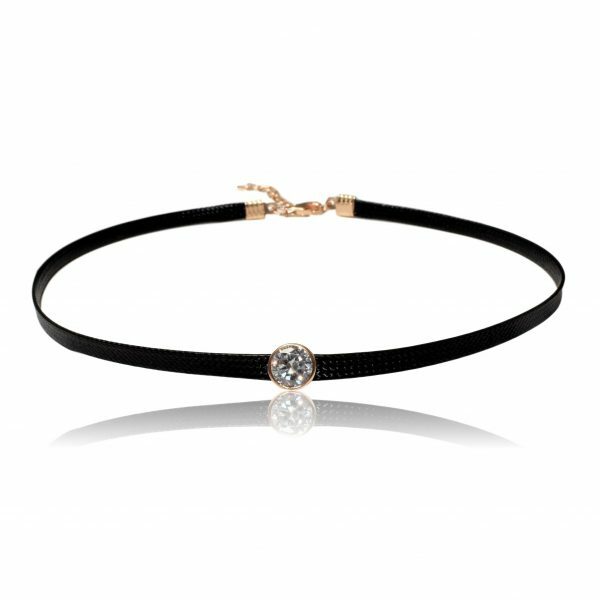 An on trend look and contemporary take on the 90’s choker.